Alpharita Constantia Anderson was born on 25 July 1946, in Santiago de Cuba, Cuba. She is a singer, but perhaps best known to be the widow of Bob Marley, and she was part of the vocal group I Threes, who were the backing vocalists of Bob Marley and the Wailers, consisting of her, Judy Mowatt and Marcia Griffiths. All of her endeavors have helped put her net worth to where it is today. 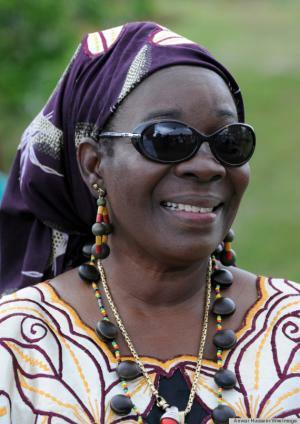 How rich is Rita Marley? As of mid-2016, sources estimate a net worth that is at $50 million, mostly earned through success in the music industry. In addition to her numerous tours and music with Bob Marley, she’s released a few albums herself, and has also written a book. All of these have ensured the position of her wealth. While Rita was born in Cuba, she was raised in Jamaica. In the 1960s, she met Peter Tosh and then Bob Marley who asked her to audition for the Soulettes after learning of her singing skills. This group would eventually become the I Threes and it originally consisted of Marlene Giffordwas and Constantine “Dream” Walker. Bob would become the mentor of the group and this would also be the beginning of their romantic relationship. The I Threes and Bob Marley would become highly successful and give numerous performances. One of the most dangerous events they had to encounter was before the “Smile Jamaica” event which was organised by the Prime Minister of Jamaica, Michael Manley, as the couple found themselves assaulted by gunmen inside their home, which they survived but sustained serious injuries. Rita survived a shot to the head that night. After the death of Bob Marley in 1981, Rita continued to make music under her name and it found success in some countries, especially in the United Kingdom. In 1986, she had converted Bob’s home into a museum and started to do more charity work. She adopted 35 children in Ethiopia, and helped found the Robert Marley Foundation, Bob Marley Group of Companies and Bob Marley Trust. In 2000, she then founded the Rita Marley Foundation which aims to help developing countries, specifically the elderly and the youth. She donated a number of music scholarships, and has subsequently been given numerous distinctions by Jamaica and other organizations; a few of these include the Marcus Garvey Lifetime Award, and the Order of Distinction. She was also awarded an honorary Doctor of Letters degree from the University of the West Indies. Aside from these, Marley collaborated on the Fergie song “Mary Jane Shoes”, which was part of the multi-platinum album “The Dutchess”. Rita has released a total of 14 albums, and also collaborated with Ignacio Scola and Gregorio Paniagua. She published the book “No Woman, No Cry: My Life with Bob Marley” in 2004. She had also planned to move Bob Marley’s body to be buried in Ethiopia, as according to her it was his “spiritual resting place”. For her personal life, she had four children with Bob Marley and two from other relationships. Bob had a total of 14 children with eight separate women. 1 Has 6 children: a daughter Sharon Marley Prendergast (b.November 23, 1964), a daughter Cedella Marley (b.August 23, 1967), a son David Nesta Marley (aka Ziggy Marley, b.October 17, 1968), a son Stephen Robert Nesta Marley (aka Stephen Marley, b.April 20, 1972), a daughter Stephanie (b.August 17, 1974) and another daughter Serita Stewart (b.August 11, 1985). She gave birth to Cedella, David and Stephen from her late husband Bob Marley; he also adopted 2 wife's children from previous relationships - Sharon and Stephanie; gave birth to her daughter Serita after husband's death. 2 Is of African descent. Marley 2012 Documentary writer: "Natty Dread", "Crazy Baldhead"
The Social Network 2010 writer: "Crazy Baldhead"
Grand Theft Auto IV 2008 Video Game writer: "Rat Race"
Africa Unite: A Celebration of Bob Marley's 60th Birthday 2008 Documentary performer: "He's a Legend" / writer: "So Jah Seh"
How High 2001 performer: "One Draw" / writer: "One Draw"
The Eternal 1998 writer: "Johnny Was"